The Halifax Explosion of 1917 is a defining event in the Canadian consciousness, yet it has never been the subject of a sustained analytical history. Astonishingly, until now no one has consulted the large federal government archives that contain first-hand accounts of the disaster and the response of national authorities. Canada's recently established navy was at the epicentre of the crisis. Armstrong reveals the navy's compelling, and little-known, story by carefully retracing the events preceding the disaster and the role of the military in its aftermath. He catches the pulse of disaster response in official Ottawa and provides a compelling analysis of the legal manoeuvres, rhetoric, blunders, public controversy, and crisis management that ensued. His disturbing conclusion is that federal officials knew of potential dangers in the harbour before the explosion, took no corrective action, and kept the information from the public. As a result, a Halifax naval officer was made a scapegoat and the navy received lasting, and mostly undeserved, vilification. 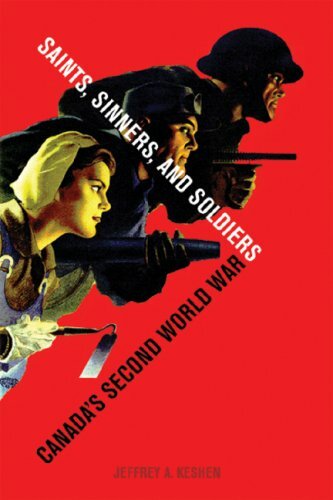 This is a provocative read not only for military and naval devotees but for anyone who wants to understand one of the events that shaped Canada in the twentieth century. 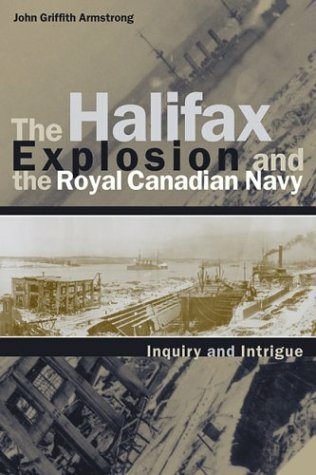 I purchased The Halifax Explosion and the Royal Canadian Navy thinking it was a depiction of the navy's efforts to assist victims of this disaster.While that aspect is slightly covered, the majority of the book deals with the ramifications that the explosion had on the Canadian Navy's organization and morale.Even though it turned out to be a different book than I expected, I still found it to be absorbing and informative. The main reason I still enjoyed the book was due to Armstrong's superb summarization of various legal and military documents associated with the disaster's inquiry.This summarization showed how political pressure distorted an otherwise perfunctory legal hearing.The documents' sections that he chose also brought to life the scapegoats for the catastrophe and the villains behind the pillorying that followed the hearing.In bringing these proceedings and people to life, Armstrong showed that the political traumas resulting from the calamity affected people and institutions in ways that were as destructive as the explosion itself. Many potential readers may not think that this book is worth reading, because it barely focuses on the tales of survival and heroism that sprung from the tragedy.But, thanks to his meticulous research and solid writing, Armstrong presents a cautionary tale that is especially relevant in the aftermath of September 11th.This book is one that will appeal to anyone who is interested in how people and institutions react to disaster. On December 6, 1917, two ships in the harbor at Halifax, Nova Scotia, collided. The resulting fire soon led to a massive explosion that destroyed the ships, much of the harbor, and a good part of the surrounding city. The scope and impact of the tragedy is almost unimaginable. And yet, according to author John Griffith Armstrong, the event is largely forgotten by Canadians and almost universally unknown to Americans. That's too bad -- not only for the sake of the people killed or wounded, but also for the lessons we can still learn from the event and its aftermath today. Armstrong's book shows us why. As the author notes early in his book, the Halifax explosion, to the extent it's been studied by historians at all, is generally approached from a sociological viewpoint that concentrates on the event's impact on the people of Halifax. Armstrong's brief is different. He analyses the effect of the explosion and subsequent investigation on the Royal Canadian Navy. In so doing, he's created a surprisingly interesting story that, while it gets a little bogged down in the minutia of inquiry transcripts quoted at length, nevertheless develops a number of themes that are still relevant today. For example: the tendency of military and political bureaucracies to obfuscate, shift blame, and throw others to the wolves in order to protect themselves (and the difficulties military and civilian bureaucracies have in communicating with, or even understanding, one another); the dangers that result from unclear divisions of responsibility; the ease with which opportunistic politicians can manipulate and enflame public opinion; and much more. It's also very interesting to see the developing institutional ethos of the Royal Canadian Navy, which had existed as a nominally independent body for less than a decade at the time of the explosion. Base closures, use of airspace for weapons testing and low-level flying, environmental awareness, and Aboriginal land claims have focused attention in recent years on the use of Native lands for military training. But is the military's interest in Aboriginal lands new? 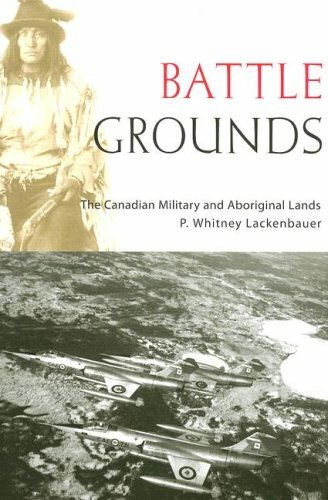 Battle Grounds analyzes a century of government-Aboriginal interaction and negotiation to explore how the Canadian military came to use Aboriginal lands for training. It examines what the process reveals about the larger and evolving relationship between governments and Native communities, and how increasing Aboriginal assertiveness and activism have affected the issue. The extended peace the world anticipated following the decisive Allied victory in the Second World War was abruptly shattered in June 1950 by the invasion of South Korea by communist North Korea. Responding to a United Nations’ call to assist the South Korean regime, Canada deployed an 8000-man brigade to the peninsula to fight as part of an American-led UN force. 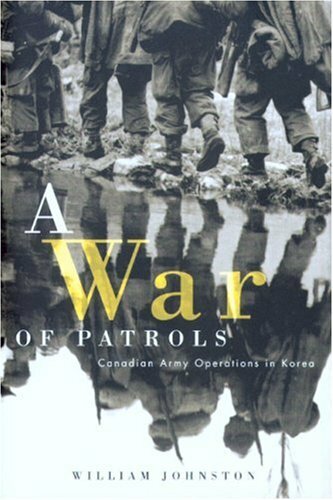 This comprehensive account of the Canadian campaign in Korea provides the first detailed study of the training, leadership, operations, and tactics of the brigade under each of its three wartime commanders as well as its relationship with American and Commonwealth allies. 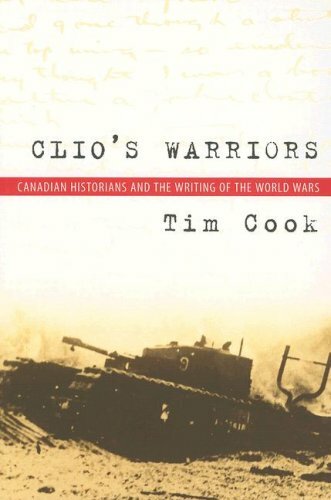 An impeccably researched analytical history, the book examines the uneven performance of the various Canadian units and argues that the soldiers of the "Special Force" initially sent to Korea were more thorough and professional in their operations than were the army’s regular battalions that eventually replaced them at the front. The revisionist interpretations of A War of Patrols will attract both academic and military professionals, as well as general readers interested in a fresh look at an important part of Canada’s military past. In January 1944, Canada's top admiral, Percy Walker Nelles, was fired from his post as head of the Royal Canadian Navy. Traditional accounts maintain that Nelles's termination was the result of severe operational deficiencies within the navy. 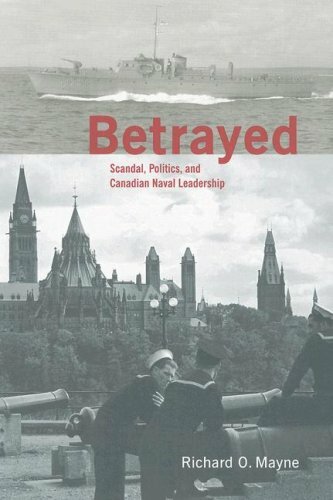 This intriguing history reveals the true story behind Vice Admiral Nelles's dismissal: a divisive power struggle between two elite groups within the RCN -- the navy's regular officers, and a small group of self-appointed spokesmen of the voluntary naval reserve. Richard Mayne shows how influential, but relatively junior, reserve officers were able to parlay their social stature to bypass normal military channels. These men, most notably Andrew Dyas MacLean, nephew of the Maclean's magazine founder, came from among Canada's most prominent civilian families. Their network, unhappy with the permanent force officers, used their connections to create an alternative chain of command, which deployed threats of public scandal, warnings of mass insurrection, and political intimidation, to cause one of the worst breakdowns in Canadian civil-military relations. Self-doubt so plagued him that he suffered a nervous breakdown even before fighting his first combat action. But, by the end of the Second World War, Bert Hoffmeister had exorcised his anxieties, risen from Captain to Major-General, and won more awards than any Canadian officer in the war. Fighting from the invasion of Sicily in July 1943 to the final victory in Europe in May 1945, this native Vancouverite earned a reputation as a fearless commander on the battlefield – one who led from the front, one well loved by those he led. How did he do it? 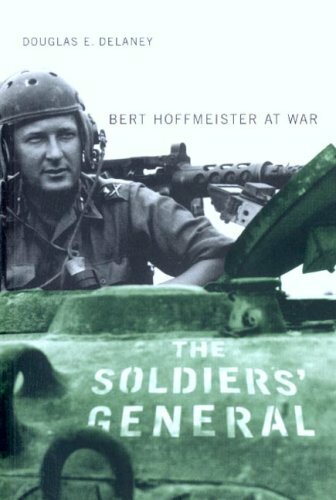 The Soldiers’ General explains, in eloquent and accessible prose, how Hoffmeister conducted his business as a military commander. With an astute analytical eye, Delaney carefully dissects Hoffmeister’s numerous battles to reveal how he managed and how he led, how he directed and how he inspired. An exemplary leader, Hoffmeister stood out among his contemporaries, not so much for his technical ability to move the chess pieces well; there were plenty who could do that. Rather, Bert Hoffmeister was exceptional for his ability to get the chess pieces to move themselves. 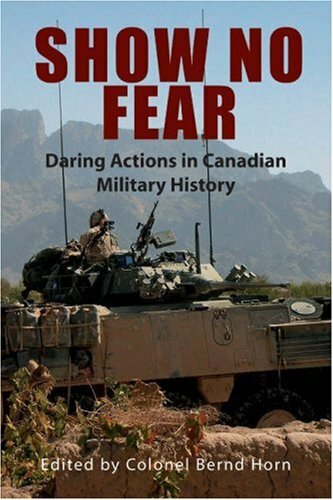 Show No Fear is a collection of essays that captures the richness of Canadian military history. Although Canadians see their nation as a peaceable kingdom and themselves as an unmilitary people, the truth is that Canada has a proud military heritage. Moreover, the nation’s citizens and their descendants share a legacy of courage, tenacity, and warfighting prowess. This volume of daring actions showcases the country's rich and distinct national military experience while capturing the indomitable spirit of the Canadian soldier. Actions studied include military bravery in the Seven Years’ War, the British attacks on Fort Mackinac and Fort Detroit in the War of 1812, the Lake Erie expeditions during the American Civil War, courage displayed at Paardeberg in the Boer War, trench raiding in the First World War, bold valour in the ill-fated Dieppe Raid in the Second World War, toe-to-toe fighting with the Chinese in the Korean War, and present-day heroics in Afghanistan. It was the "Good War." Its cause was just; it ended the Depression; and Canada's contribution was nothing less than stellar. But the dark truth was that not all Canadians were saints or soldiers. Indeed, many were sinners. 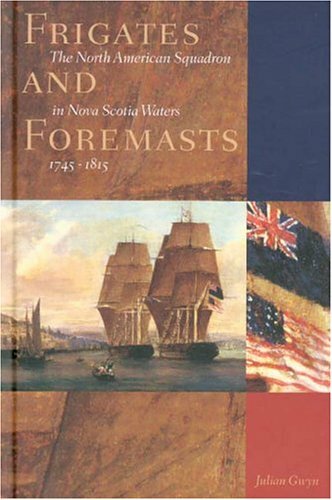 The first comprehensive study of naval operations involving North American squadrons in Nova Scotia waters, Frigates and Foremasts offers a masterful analysis of the motives behind the deployment of Royal Naval vessels between 1745 and 1815, and the navy's role on the Western Atlantic. Interweaving historical analysis with vivid descriptions of pivotal events from the first siege of Louisbourg in 1745 to the end of the wars with the U.S. and France in 1815, Julian Gwyn illuminates the complex story of competing interests among the Admiralty, Navy Board, sea officers, and government officials on both sides of the Atlantic. In a gripping narrative encompassing sea battles, impressments, and privateering, Gwyn brings to life key events and central figures. He examines the role of leadership and the lack of it, not only of seagoing heroes from Peter Warren to Philip Broke, but also of land-based officials, such as the various Halifax naval yard commissioners, whose important contributions are brought to light. Gwyn's brilliant evocation of people and events, with the scholarship he brings to bear on the subject makes Frigates and Foremasts a uniquely authoritative history. Wonderfully readable, it will attract both the serious naval historian and the general reader interested in the "why" and "what" of naval history on North America's eastern seaboard. 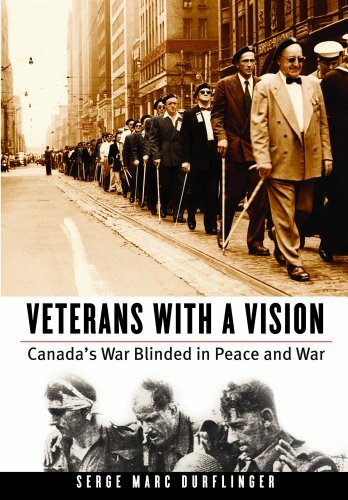 Veterans with a Vision provides a vibrant, poignant, and very human history of Canada's warblinded veterans and of the organization they founded in 1922, the Sir Arthur Pearson Association of War Blinded. Serge Durflinger details the veterans' process of civil reestablishment, physical and psychological rehabilitation, and social and personal coping and describes their public advocacy for government pension entitlements, job retraining, and other social programs. 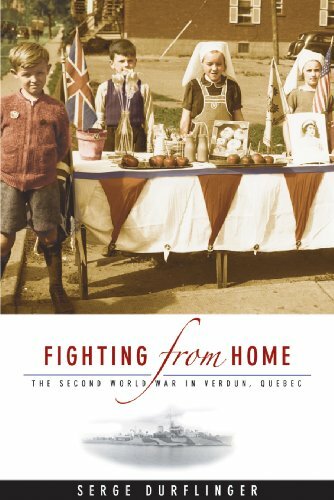 This book captures the spirit of perseverance that permeated the veterans' community and highlights the accomplishments of the war blinded as advocates for all Canadian veterans and for all blind citizens. 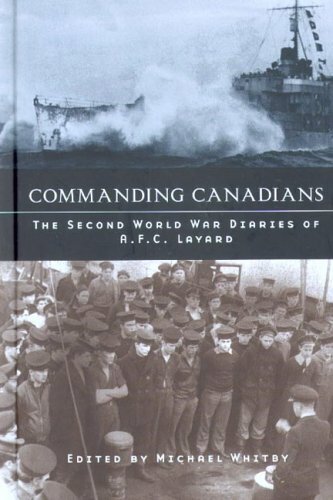 Commanding Canadians is the first comprehensive personal account – British or Canadian – that covers the entire inshore anti-U-boat campaign in European waters during the Second World War. Rescued from the archives, the diary of Commander Arthur Layard affords the reader insights into the experiences of command at sea against German naval forces. 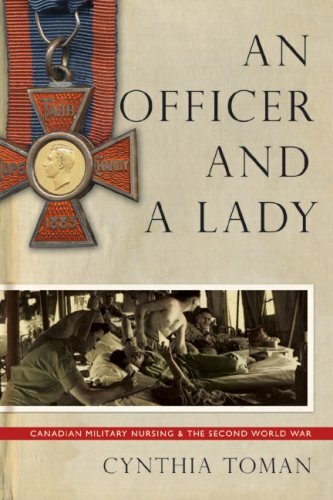 Far from a daily chronicle, this remarkably full and honest diary outlines Layard’s thoughts on his daily life and his naval career, including the strain and responsibility associated with command at sea in wartime. As well as shedding light on the inshore anti-submarine campaign, the diary also discusses significant events, such as the invasions of North Africa and Normandy and convoys to Russia; encounters with important personalities; the sinking of submarines and his own command; and the final surrender of German U-boats. Little is known of the internment of German prisoners of war, civilians and merchant seamen on Canadian soil during the Second World War. In the midst of the most destructive conflict in human history, almost 40,000 Germans were detained in twenty-five permanent internment camps and dozens of smaller work camps located across Canada. Five of these permanent camps were located on the southern shores of the St. Lawrence River at Farnham, Grande Ligne, Ile-aux-Noix, Sherbrooke, and Sorel in the province of Quebec. Martin Auger’s book provides a fascinating insight into the internment operation in southern Quebec. 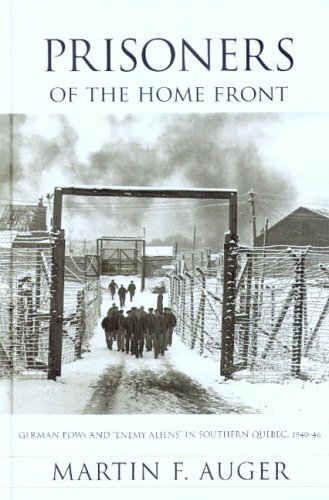 The study examines the organization and day-to-day affairs of internment camps, and offers an in-depth analysis of the experience of the German prisoners who inhabited these camps. The author shows how the pressures of internment, such as restricted mobility, sexual deprivation, social alienation, and the lack of material comfort created important psychological and physical strains on inmates. In response, Canadian authorities introduced labour projects and educational programs to uphold morale, to thwart internal turmoil, and to prevent escapes. These initiatives also aimed to expose German prisoners to the values of a democratic society and prepare their postwar reintegration. The author concludes that Canada abided with the provisions of the Geneva Convention, and that its treatment of German prisoners was humane. The First World War's appalling death toll and the need for a sense of equality of sacrifice on the home front led to Canada's first experience of overseas conscription. While historians have focused on resistance to enforced military service in Quebec, this has obscured the important role of those who saw military service as incompatible with their religious or ethical beliefs. 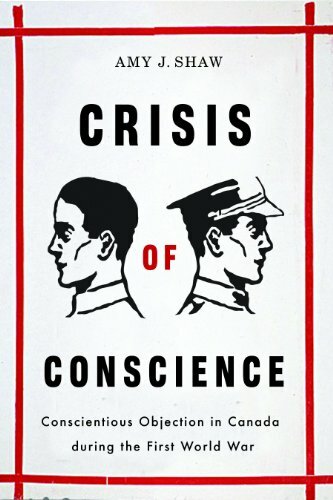 Crisis of Conscience is the first and only book about the Canadian pacifists who refused to fight in the Great War. The experience of these conscientious objectors offers insight into evolving attitudes about the rights and responsibilities of citizenship during a key period of Canadian nation building. Many Canadians see the role their country's military plays in Afghanistan as an anomaly. However, this assumption is far from the truth. As U.S. Secretary of State Condoleezza Rice has commented, "Canadians are fierce fighters." 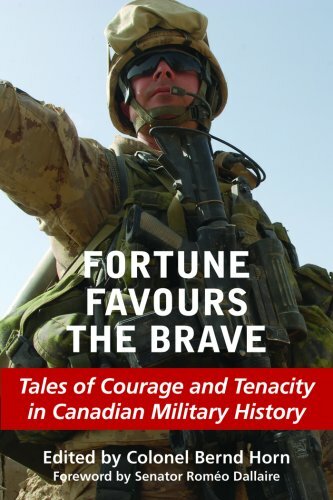 Fortune Favours the Brave certainly proves this point in a collection of essays that showcases the fighting spirit and courage of Canada's military. Daring actions featured in the book include the intrepid assault on the Fortress of Louisbourg and the cat-and-mouse struggle between Canadian partisans and Rogers's Rangers in the Seven Years' War in the 1750s; the seesaw battle for the Niagara frontier in the War of 1812; an innovative trench raid in the First World War; the valiant parachute assault to penetrate the Third Reich in the Second World War; the infamous battle at Kap'yong in the Korean War; covert submarine operations during the Cold War; the Medak Pocket clash in Croatia in the early 1990s; and Operation Medusa in Afghanistan. 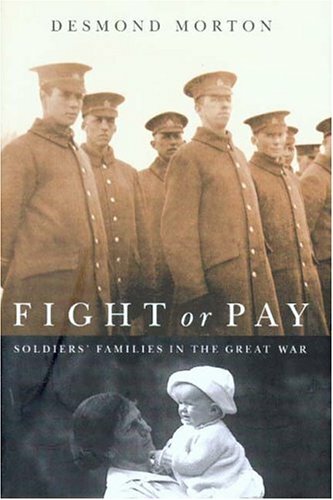 I enjoyed this book and learned something of the battles Canadians have fought.